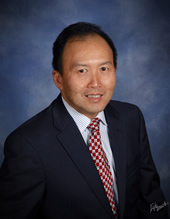 Simon Wu is a Vice President, Controller, & Business Analyst of 20/20 Capital Group. Mr. Wu has over 25 years' experience in the financial and investment management industry, including start-ups. Mr. Wu's most recent experience was at a virtual dermatological healthcare startup company where he helped develop and operationalize the company's financial systems. He also played an integral part in the company's fund raising efforts (over $5 mil. raised), strategic positioning and business development activities. Mr. Wu also has extensive experience as an equity investment analyst with primary focus on the computer technology industry, alternative energy industry, data centers, and advanced switching technologies. Mr. Wu holds an MBA from the University of Rochester and a BS in computer systems engineering from the University of Massachusetts. He is a Chartered Financial Analyst (CFA), 20/20 Capital Group's Controller, Chief Compliance Officer, and a principal in the firm. He is a registered representative of Trustmont Financial Group (20/20 Capital Group's partner for securities offerings) and is FINRA Series 22 and 63 certified. Securities offered through Trustmont Financial Group, Inc. Member FINRA/SIPC. Investment advisory services offered through Trustmont Advisory Group, Inc., 200 Brush Run Road, Suite A, Greensburg, PA. Phone: 724-468-5665. 20/20 Capital Group is not affiliated with Trustmont Financial Group, Inc.